It’s the season for music festivals. Starting with the Goulburn Blues fest, then the Illawarra folk fest. then comes Womad and Port Fairy, which are followed the next weekend with the Blue Mountains Blues and Roots Fest and culminates with the National Folk Fest over the long Easter Weekend for 5 days. It’s a tough life, but someone has to live it. We drove the 2 hours down to Canberra and camped in the back of our van for the 5 days. This year we caught a few interesting performers. There were many, but I can only write about a few. I particularly liked Lucie Thorne. I didn’t know what to expect, but straight off. It’s not what I’m not expecting. If I have any preconceptions at all, this isn’t it. Just going on her bio in the program and what I see on stage before she begins. She starts off slow and quiet, and then continues like that. She beguiles us, she lulls us, she woos us and cajoles us, she casts her magic, slowly, we are enveloped in her spell. She coaxes us along with her, we share a small part of her life. The part that she’ll let us see and will sing about. She presents us with her vulnerabilities, her angst, her wishes and dreams. What more could you want? This is both tender, intimate and brutally honest. I’m in. 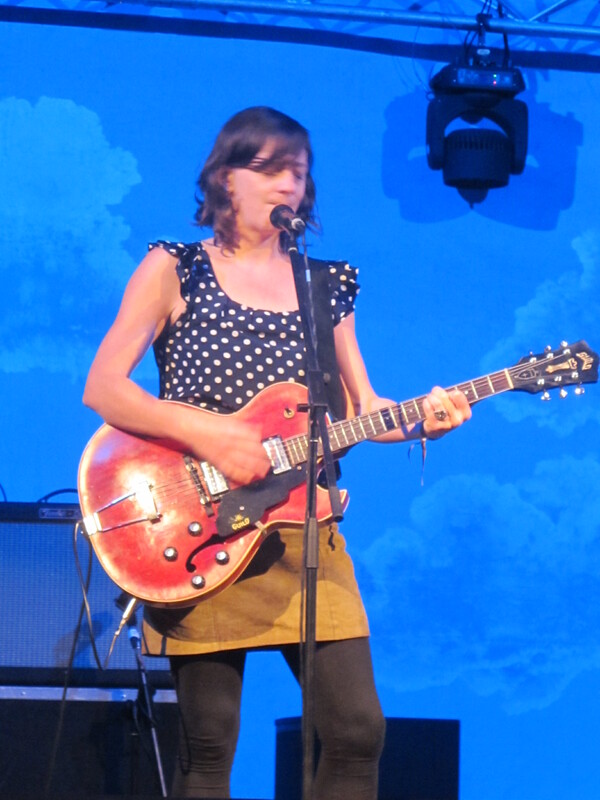 She plays an electric guitar, hollow body with an arch top. But I don’t know anything about guitars. She plays without a pick, with just her fingers, but not folk pattern style, just her own idiosyncratic, sort of erratic, but not, style, guided by the narrative, she emotes through her fingers and the amplified guitar, but Oh! So gently. She has a soft, breathy, low, almost spoken lyric style. Her own voice, her own style. An absolute original talent. <http://en.wikipedia.org/wiki/Chris_Whitley> The ‘Hotel Vast Horizon’ period. The same breathy vocal style, the minimal guitar, the restrained in-fill drumming. But where-as Chris Whitely was the guitar ‘AxeMan’ in his younger days, she is, in comparison, the young female guitar ‘cake-splade’, softer, gentler, less damaged, more refined, but just as emotive. I say less damaged, but when we caught her performance, it was first thing in the morning. It must have been a very late night for her previously. She looked a bit ragged. I’d never heard of her previously, but now I will keep a look our for her. After I saw Chris Whitely burst onto the scene doing his ‘Living with the Law‘ tour early on. I kept an eye out for his tours. He could make his old 1940’s timber resonator guitar talk. Lightning fingers, but as the heroin took its toll over the years, he developed a more abridged and concentrated minimal style. Moving from Robert Johnson to minimalist jazz influences. I saw him half a dozen times and bought 12 albums, before he died, tragically young. I hope she does a lot better. A Thoroughly enjoyable hour of my life, well spent. I buy 2 of her CD’s direct from her. After the show, we chat. Up close, she is just as I imagined and described. Gentle and vulnerable, but tough. Quite direct and honest when we ask questions. Very genuinely appreciative when we buy the CD’s. The very last show of the night for us oldies, is the 11.00 to 12.00 slot. It all continues on till after 3 in the morning, but we aren’t up for that. We need our sleep. We are staying up for a couple of old blues men. I haven’t heard of these two blokes either. They are in Canberra at this time because they have just spent 3 days in the National Sound Archive, having their repertoire recorded for the National Estate, so they must be interesting. They are Frank Povah and Chris Cruise. 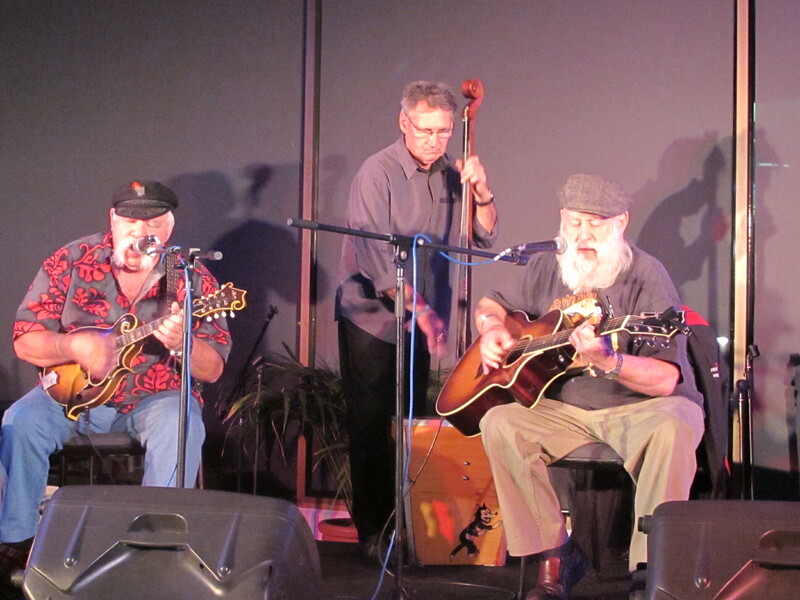 They grew in the country but moved into Darlinghurst/Kings Cross in Sydney in their youth to play in jug bands, then blues bands. They look to be in their late 70’s now and have a few miles on the clock. They were exceptionally good. These guys really knew their stuff. Not always my stuff, but so well done. A repertoire from the 20’s, 30’s and 40’s, acoustic country blues. Wooden music. I’m really glad that I stayed up for it. It’s a great pity that they didn’t have a CD for sale. Exceptional musicians. 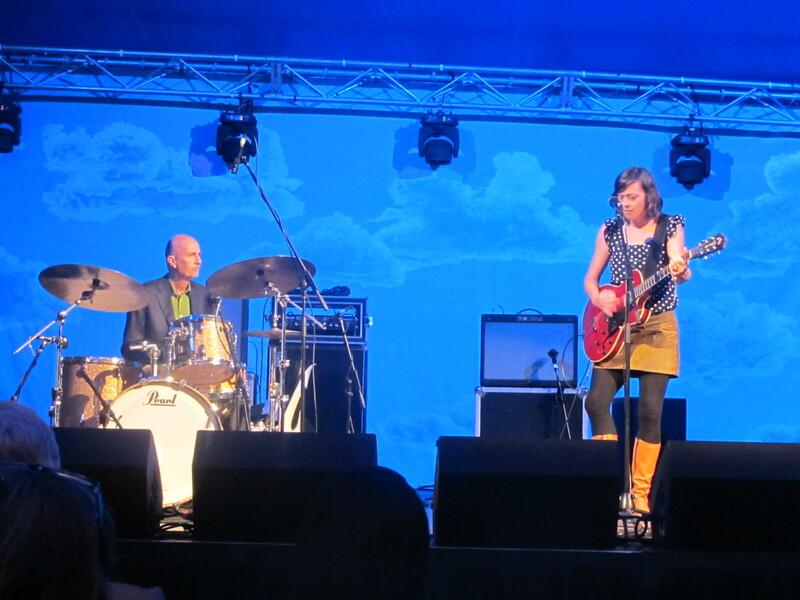 Another musician that we saw at ‘The National’ was Tift Merritt. She sings her soft rock songs with a slight hint of Country and Western. I think that it’s the lap, or peddle steel guitar backing that gives it that feel. I’ve never been particularly taken by either style, country or western, but she carries it off very well. Beautifully musical and easy listening with some very hummable melodies and memorable riffs. Most enjoyable.